When new players are attracted by our marketing efforts in the future, this work on Ethorse’s fundamentals will ensure they are more likely to remain dedicated players over the long-term. To address these problems we took Ethorse offline and conducted additional work that has resulted in a 30% overall performance improvement (price and betting data displayed on the DApp is refreshing faster, for example). In the future, such scheduled maintenance will be communicated better in our official Telegram and Discord channels. It is still possible that the DApp might be still be down once in a while in the near future as there are several external dependancies that break temporarily such as network connectivity. We might not be able to communicate such events immediately but we will do our best. At any case, the ether that is bet will be safe in the decentralized smart contract. 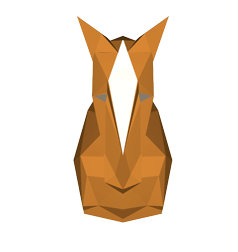 Last month we announced the roadmap for the MLE-Ethorse integration. Phase I (integrating the MLE race viewer into the Ethorse Dapp via a “View Race” button) is complete. We will communicate more information about the MLE-Ethorse integration in future updates. Reminder: The more you play Ethorse now, the faster you’ll be able to earn HORSE Rewards at launch. We are pleased to announce that we have begun planning a new Ethorse game mode: Ethorse Futures. Players will be able to bet on BTC, LTC, ETH and other high volume cryptos via Ethorse Futures. Ethorse Futures race durations will vary (1 hour, 3 hours, 24 hours, 72 hours, etc.). This new game mode will take elements from a community members’ suggestions (click here to view) which was published (and discussed) on Reddit. Work on Ethorse Futures will begin after the front-end updates (including the UI) and Phase II of the MLE-Ethorse integration have been completed. We will have more information about this new game mode in the weeks to come. Thank you for your continued support.